Denise has devoted her career to the defense of health care providers and other professionals and has been in practice since 1996. She received a Bachelor of Arts in Journalism and a Juris Doctorate with Distinction from the University of Oklahoma in 1995. While in law school, Denise received awards in Insurance Law and Appellate Advocacy and served as the Associate Editor for the American Indian Law Review. Denise is licensed to practice in all state and federal courts in Colorado and Oklahoma. She is a member of the Colorado Bar Association, the Colorado Defense Lawyers Association, and the Oklahoma Bar Association. 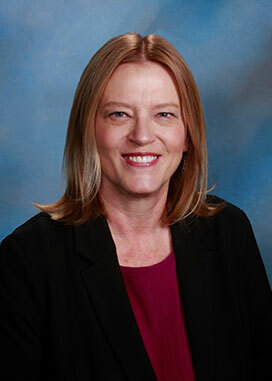 She previously served as Chair of the Professional Liability Committee and Vice-Chair of the Medical Malpractice Committee for the Colorado Defense Lawyers Association. Denise is experienced in defending claims related to medical malpractice, physician credentialing and peer review, HIPAA and EMTALA compliance, and premises and automobile liability. She has represented individual and corporate clients in administrative actions and litigation involving professional liability, health care collections, products liability, wrongful termination, subrogation, and mass torts. She also assists health care and employer clients with consulting services, in-service education on loss prevention and risk management, and preparation of policies and procedures. She has been recognized by her peers as a Super Lawyer and has been awarded AV® Preeminent™ certification from Martindale-Hubbell.